Cryptocurrency are the digital media of exchange which use cryptography and shared transaction ledgers to create a secure, anonymous, traceable and potentially stable monetary system. Cryptocurrency take their name from their use of cryptography. Cryptography is the study of the methods of encrypting information, primarily with the intention of sending a message securely and privately but also for tasks such as data security and authentication. Cryptocurrencies incorporate many of the technologies and theories developed by cryptographers in order to create a digital money exchange system that is resistant to both censorship and fraud. Bitcoin remains the most popular cryptocurrency, but there are now virtually thousands of cryptocurrencies with various levels of popularity, value and originality. Cryptocurrencies other than Bitcoin are often referred to as “altcoins.” While there are many altcoins that are simple clones on the Bitcoin system, the most successful ones tend to have a unique hook or advantage that Bitcoin either can’t or chooses not to provide. The best-known examples of popular altcoins include Ripple, Litecoin and Dogecoin. 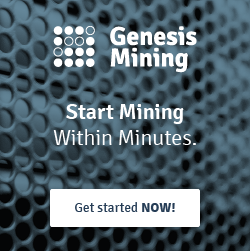 There are few ways to mine cryptocurrency. Cloud mining is where a miner purchases a part of the mining power of hardware hosted and owned by a Cloud Mining services provider. The service provider takes on configuring the hardware, maintaining uptime and selecting the most efficient and reliable pools. Fixed maintenance, electricity fees and no nuisances associated with mining at home such as noise, heat or space. Another key point is that this model of cloud mining requires no technical experience. Obviously, it’s very important that miners understand the mining process. However, this model doesn’t require hardware expertise or significant configuration / implementation cost. Since customers can purchase any amount of mining power (hashrate) they wish, this means that the level of investment will depend only on the miners’ ambition. This means that the cost of entry and subsequent risk is far lower than in comparison with the remotely hosted model. Cloud mining is greatly suited for novice miners who would like to try out mining and earning cryptocurrencies as well as seasoned miners who don’t want the hassle or risks of hosted or home-based mining. Below are some of the Cloud Mining Provider I use. * With promo code (Vzmr5h), you will get 3% discount.